Diamond Chemical services over 140 commercial cleaning accounts and provides quality commerical cleaning supplies to the Philadelphia, New Jersey, and Delaware areas. Diamond Chemical supplies, services and installs the most sophisticated dispensing equipment and dish machines available in the commercial cleaning field today. We provide same day service, and can provide you with the equipment and commercial cleaning supplies you need to support your business. It is our commitment to service that has established Diamond Chemical as the leading provider of dish machines, warewashing products, and commercial cleaning supplies within the Philadelphia, NJ, and DE regions. 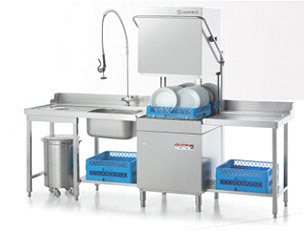 We are the area's factory rep and warranty service dealer for CMA dish machines and the primary distributor for Uni-Kem's warewashing products. We sell and service all makes and models of commercial cleaning machines. Please highlight the supplier's logo to view products and services. We have effective solutions for all your table ware needs. 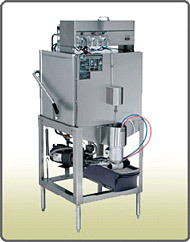 Select the perfect dish machine and specialty commercial cleaning supplies for your business, such as automatic dish detergents, pot and pan or bar chemicals, sanitizers, delimers and more. Contact Diamond Chemical for pricing. We provide commercial cleaning supplies to the Philadelphia, NJ, and DE areas.